Our success has grown rapidly over the years thanks to hard work, an honest and straight talking approach and our unrivalled experience and knowledge. Although our results speak for themselves we are never complacent and always strive to go the extra mile for our clients. As it's our business, we are very much on the front line. By that we mean we are in the office Monday to Saturday dealing with everything from valuations, viewings, marketing and general management. With Adrian’s 30+ years’ experience together with Marc’s management skills & Richards’s sales technique, we do our upmost to provide the professional service required. We cherish our independence and the fact that it allows us to make snap decisions, there is no corporate ladder that an idea has to be run up and down, if we like something we go for it! Being family run and a team of staff who have been with us for 10 years+, our clients will know who they are talking to every step of the process and benefit from having a personal, reliable service, guaranteeing feedback along the way. We are not a typical 9-5 agent! We operate outside of working hours to suit the needs of our clients. 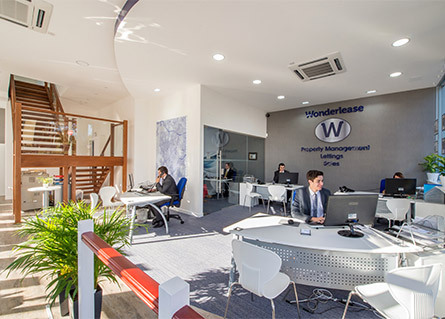 We are situated in the most prominent office in the heart of Walthamstow Central, and ideally positioned to sell, rent and manage properties all over East London and the Essex borders. It's all about the client and everything we do is done with the sole aim of making the sale, rental and management of your most valued asset as stress free, profitable and satisfactory for you as possible. We are passionate in developing best practice in absolutely everything we do.